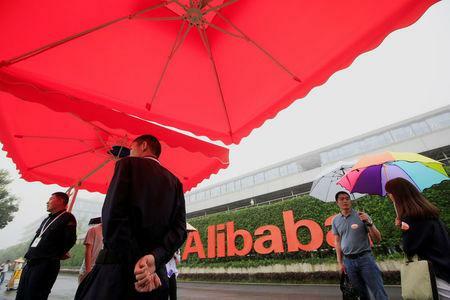 HONG KONG (Reuters) - Alibaba Group's newly formed on-demand online services unit has rocketed in value to as much as $30 billion after raising $4 billion in fresh funds, people with knowledge of the situation told Reuters. More than $3 billion of the new funds came from Alibaba itself and SoftBank's <9984.T> Vision Fund, the people said. Primavera Capital Group and Alibaba affiliate Ant Financial, which have already invested in Koubei, also joined in the fundraising, they said. The company expects to close this financing round by the end of November, one source added. The fresh capital will give the unit ammunition in its intensifying battle with rival Meituan Dianping <3690.HK>, backed by Tencent Holdings <0700.HK>, for dominance of China's booming online-to-offline (O2O) market where apps link smartphone users with bricks-and-mortar businesses to provide food delivery and other offerings.